Just an illusion? Lenovo updates its T-range's 14.1 inch models to state-of-the-art with the Arrandale CPUs. The validated Thinkpad design and the qualities attached to it haven't been compromised on. Our prototype is equipped with a Core i7 620M CPU, a dedicated NVIDIA NVS 3100M graphic card and a 4 GB DDR3 RAM. Can the graphics be switched for energy saving reasons like in the T400 top models? We'll answer this question in the run of our comprehensive test course, as well. The Lenovo T410 model price is competitive yet there are many available options on the computer market. There are reductions available at the Lenovo website, the price available is in line with current competitor prices. For $1079 dollars you can buy this base model, and with customization the price will be somewhat higher. Even though there are vast improvements with this model, it still remains a far cry from state of the art technology. Having put the latest ThinkPad T410 through its paces, we're hardly surprised by most of the results. ThinkPad has always been renowned for their build quality and durability, and the T410 is no exception. It may not look as stylish as other laptops (depending on your definition of style), but no business user would ever feel bad about carrying around a modern ThinkPad. If you're in the market for a business notebook (or if you run an IT department), you'd be remiss to skip the ThinkPad without at least testing a unit. Two and a half hours isn't terrible, especially considering the T410's potent processor and general desktop-replacement credentials. But it was disappointing, and frankly we're not used to using the word disappointing in the same sentence as ThinkPad. Except for its battery life, though, the T410 is another impressive example of Lenovo's basic black. Our test unit rang up at just under $1500, with the base unit listing for $999. For business users, these prices are reasonable given the sturdiness and performance available. The only real downside is the lackluster battery life, which is to be expected when you're using a performance-oriented CPU and GPU combination (it would be so nice if Lenovo build an option for this machine that NVIDIA Optimus enabled). The display was crisp, multimedia playback was no chore and overall usability was stellar. 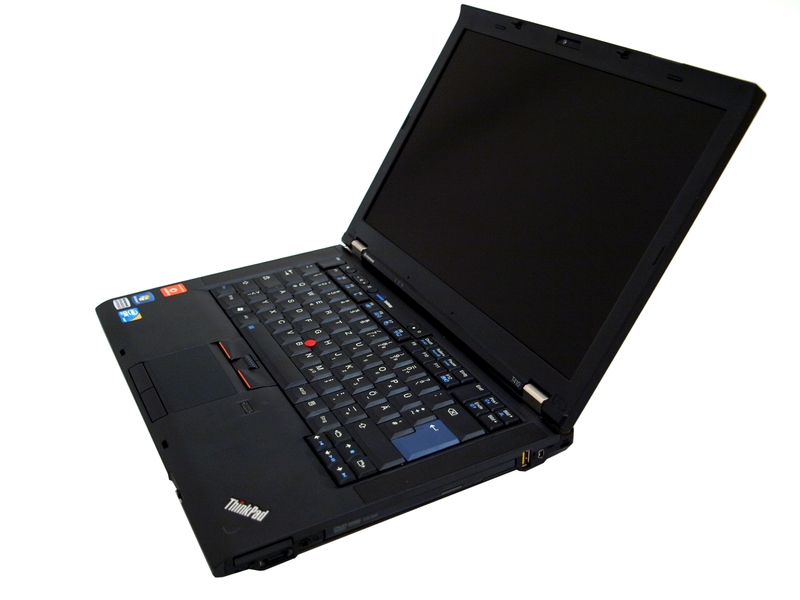 Considering the starting price of $999 ($1254 as tested) the T410 is definitely a recommended buy. It’s a dependable system, with top-notch features, good performance, and perks like a strong chassis and a keyboard that feels great to type on. Some buyers will want to consider the SKU with discrete graphics while others will want to go with the T410s, but people won’t be disappointed in the T410. The new Intel Core i5 processors are serious performers making the Lenovo ThinkPad T410 a fast notebook. The T410 is speedy at productivity tasks and shows drastic gaming performance improvements compared to the outgoing T400. The display is super bright and the keyboard is excellent. The notebook has the classic ThinkPad solid build and 14.1” is a good size for business travelers. Lenovo's ThinkPad T410 laptop provides a very solid performance platform in a mobile platform thanks to the new Intel Core i5 processor. Even with the higher performance, battery life has received a major boost that lets the system with the 9-cell battery pack run for nearly a full business day. With its excellent keyboard and durability, this is certainly one of the best business class laptops on the market as long as you are willing to pay for the features. These days, many business users are willing to sacrifice performance in favor of the lightest laptop they can stuff in their bags. For the rest, a powerful business laptop can mean getting resource-intensive tasks done in a matter of minutes, instead of hours and days. The Lenovo ThinkPad T410 has all the essential features to prevent your company from experiencing downtime, including solid performance and good battery life. The full-redesigned Lenovo ThinkPad T410 offers quite a few enhancements over the previous generation T400, including less keyboard flex, an updated keyboard, a nicer touchpad, huge improvement in port selection, and better component access through the chassis. The new design is not without its flaws though as we have seen some areas like the screen cover show more flex than we would like. If you're looking for a workhorse business notebook that won’t let you down, start your search with the Lenovo ThinkPad T410. This 14-inch laptop, which comes from the proven ThinkPad T400 bloodline, has been upgraded with faster processor choices, a larger touch pad, more convenient VoIP features, and other enhancements. Improvements large and small make the best mainstream business laptop that much better. An impressively powerful thin-and-light business notebook that offers supreme comfort and a sleeker design than its predecessors. The ThinkPad T410 continues the ThinkPad T Series’s long tradition of providing workstation level performance in a portable package. If you want a lighter business notebook, you might want to consider the slimmer but more expensive T410s. However, if you’re looking for a top performing 14-inch business system with a comfortable keyboard and a dash of style, the T410 is a great choice. We wish the speakers and video playback were better, but overall this is one of our favorite business notebooks. 80.22%: This rating should be considered to be average. This is because the proportion of notebooks which have a higher rating is approximately equal to the proportion which have a lower rating.